A free ebook version of this title is available through Luminos, University of California Press’s Open Access publishing program. Visit www.luminosoa.org to learn more. In the Arabic eleventh-century, scholars were intensely preoccupied with the way that language generated truth and beauty. 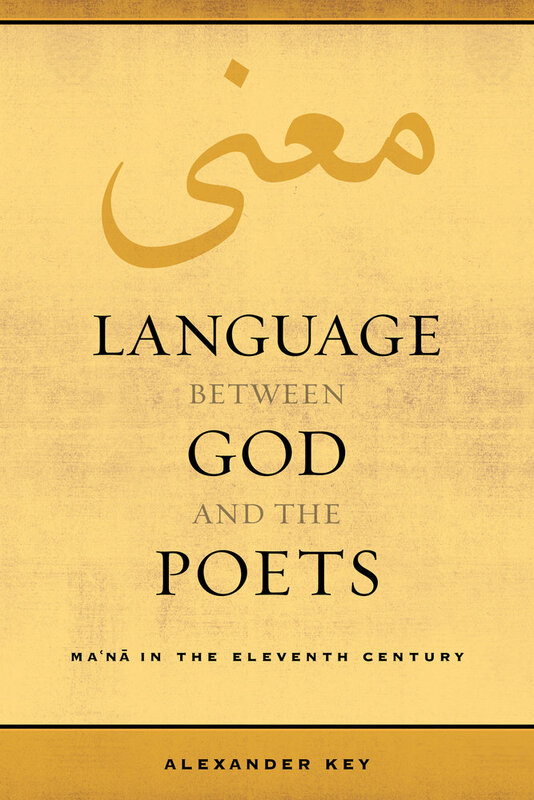 Their work in poetics, logic, theology, and lexicography defined the intellectual space between God and the poets. In Language Between God and the Poets, Alexander Key argues that ar-Raghib al-Isfahani, Ibn Furak, Ibn Sina (Avicenna), and Abd al-Qahir al-Jurjani shared a conceptual vocabulary based on the words ma‘na and haqiqah. They used this vocabulary to build theories of language, mind, and reality that answered perennial questions: how to structure language and reference, how to describe God, how to construct logical arguments, and how to explain poetic affect. Alexander Key is Assistant Professor of Arabic and Comparative Literature in the Division of Literatures, Cultures, and Languages at Stanford University. Folk Theory or Technical Terminology?